Trying to find this asian movie? I caught a glimpse of this but could never figure out what the movie was, if any one recognises it can you let me know please? Basically, all I saw was one tiny quick scene, it looked like one of those “fake” sets with a swamp, reeds, there was a path, pink cherry blossom falling through the air, a man with sword(s) and a woman…not 100% sure about the woman tho, it may have been a small child? I think someone sas sitting in a carrying box (one of those with a porter at the front and back and long poles down the side), and there might have been guards? It was a very visually beautiful scene, very stylised like Crouching Tiger Hidden Dragon? I think the man with sword(s) attacked the traveling party on the path? And I think he was wearing black? He was quite young too, I think? Looking for a YouTube video? i really want to find it again but it’s not saved in any of my playlists so I’m going to put everything I can remember here in the hope that someone might recognise it? 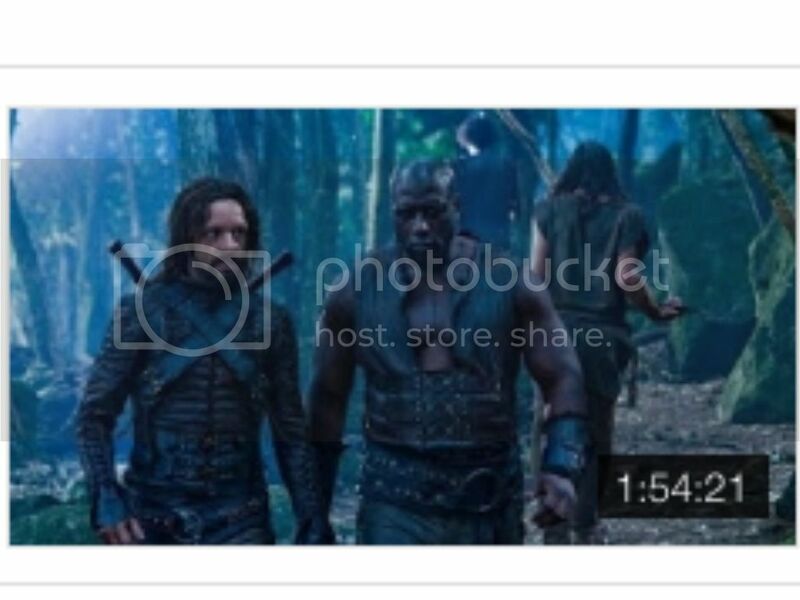 I’m pretty sure it was post-200, it was in colour, it was in English, there was a teaser, and a full half hour episode, possibly more episodes? it was a space adventure along the lines of “undercover brother”, but set on a spaceship? there was a captain who was like lando calrissian, there was a (I think) white skinned female robot type, some sort of space princess/lady with alien powers who was on the run from a weird cult? it was kind of blink and you miss it, so I don’t have much to go on other than the eyepatch, sorry? any help finding it would be awesome, I reckon I’ll know it when I see it. Looking for a recent syfy-ish movie? i watched this recently but it could be from any time in the last ten or so years? a space weapon, may or may not have been some sort of space station on a rock? a wife or ex-wife on either the space weapon station, or a shuttle of some kind? she is trying to radio back to earth but ends up contacting some teenagers instead? I’m trying to remember a movie I watched, possibly in the 90’s, definitely pre-2000, it was in colour, and I’m fairly sure it was Australian. I remember a Japanese lady (I think she was someone’s wife?) who either got kidnapped or went off in a car with someone? The only other part of the movie I remember is a car chase, and the movie ending on a beach somewhere? If anyone remembers a movie that’s similar in any way, please suggest it, I really want to find this one again. Thank you. Movie about an insect swarm? i think it was pre-2000, it had the colouring and feel of a 70’s or 80’s movie? there were people trapped in a building of some kind (i was sure it was a courthouse but could be wrong?) and the insects were getting in through the air vents on the roof? i was so sure it was locusts or crickets but can’t find it *headdesk* definitely not bees tho, i’m sure of that! Help me find it again please! I really want to watch it again??? What is this screengrab from? It’s really familiar but I can’t quite remember what it’s from? My useless memory keeps giving me this particular scene from a medieval movie, and I was so sure it was Ivanhoe, but I have not been able to find it in any of the ones on youtube? All I can clearly remember is that the hero had light coloured hair (which rules out the Robert Taylor 1952 version). And that there was a fight scene, I can’t remember if it was a joust or hand-to-hand, and the hero was injured and taken into a white tent. It was definitely in colour (which rules out the black/white Roger Moore series). It might not even be Ivanhoe, so if you can think of any movie with a scene like that, please tell me? I really want to watch it again? Looking for a disaster movie? I remember watching a movie on dvd within the last few years but I just can’t remember (or find) the name of it? I thought it might be SyFy or The Asylum, but haven’t been able to find it in any of their lists? It was set in generic smalltown USA, there was a family, mother, father, teen son, teen daughter. One of the females worked at a diner? A disaster happens, could have been meteorites, or some Earthquake/gravity sort of thing, and the family is separated? I remember these scenes very clearly…but I can’t say if they were the same movie or two similar movies? The movie began with a black SUV driving through a town, I’m sure it had a mother and son in it, and when they stopped to look at the damage, the ground under their SUV began to crack and the car fell into the hole. Later in the movie we see the scene repeated and this time you see the mother and son escape the car just before it falls down the crack in the ground. There is another scene in the middle, the son from the family is hiding in a church basement with some other people and a chunk of concrete falls, trapping his leg. The movie ended with the family back home, I think it might have been the sons birthday, and they were watching tv? There might have been a grandparent as well? I’d really like to find this movie (or movies, if I’m remembering them together) again, they were great cheesy sci-fi fun to watch? Feel free to suggest anything you think sounds even vaguely similar, I’ll try anything? Looking for a Doctor Who episode? I was channel surfing and landed on something about Doctor Who, there was a blink and you miss it scene of the TARDIS on it’s side but I can’t find the episode? Does anyone know which episode had the TARDIS lying on its side? I really want to find it and see the whole episode? Trying to remember a superhero movie? I apologise for the vagueness of this request but all I can remember are small bits of it and not a lot of detail? I don’t think the main character had any powers, I think he was more of a batman type? With gadgets and a costume? The only thing I remember clearly was a scene with a large building that might have been a bank or deserted building, it might have been his hideout? I remember it was daytime, and the hero might have used tunnels or sewers to move around? Feel free to suggest anything at all, I can’t always guarantee my memory so I’ll look at everything to find this again? Looking for 2x anime from the 80s/90s? I’m trying to find two anime/cartoons I watched as a teen but I can’t seem to track them down? They were both from the 80s or early 90s. I saw them both on VHS and both were in colour. #1. The only thing I clearly remember from this one is one of the characters was a skinny white dude with a huge brown afro hairstyle and giant nerd glasses, I think he was a sidekick scientist to the hero who had black hair and was quite young? I think there was a girl, maybe a lighthouse or ocean? There may have been a spaceship or submarine? I really want to find this so suggest anything and everything even remotely similar????? #2. I have better memories of this one. It starts out on earth or an earth-like planet. There was a young man who is a pilot, and a teen girl, and there was a war (not sure if they were aliens or another country/planet?). But they escape in some sort of fighter and head into space. They crash in a disused section of a big spaceship of some sort and live there thinking they are the only survivors, but then I think they get found? I really want to see this one again too, so suggest whatever you can think of? I’m fairly sure both were in English (can’t remember if that was their true language or cheesy dubbing tho)? Cartoon Movie with puppies…or kittens? I was working as a librarian at a primary school when a class came in and watched this movie. I loved it, but I can’t remember much about it, and certainly not the title. Please help me find it? It was quite dark in places, especially toward the end, and one of the animals might have got hurt or possibly almost died? But I’m fairly certain it did have a happy ending tho? I’m fairly sure it wasn’t Pound Puppies, I don’t remember any of the animals wearing clothing? Suggest anything, I really want to see this movie again, please? Trying to find a UK thriller? I don’t remember much about this one but what I can remember, I’ve included her in case anyone remembers it? It was a while ago, pre-2000 for sure. Contemporary, not historical. There was a young woman, she might have been a hairdresser or made clothing? She was living in or above a church that was being renovated, and it felt like she had just come back from being away for a while? She had a best friend/boyfriend who had bleach blonde hair? There was a killer after her for whatever reason, could have been a stalker but I think it might have been because she witnessed something? At the end there was a fight and the blonde friend/bf got stabbed with a pair of scissors? I’ve been wanting to find it for years now but can’t seem to track it down? I think it was in two parts that were an hour-hour and a half each? We tended to get these kind of thriller/dramas on a sunday night? if anyone can think of anything even vaguely similar, please suggest it? Looking for a UK series/mini-series from the 80s or 90s? The previous post reminded me of this show I’ve been looking for for such a long time? I think he had to make a choice to be one or the other and it might have included him having to give up his healing if he chose to become a doctor? That’s about all I remember? If anyone can help me find this, I would be eternally grateful??? I’ve been wanting to see this again for such a long time! Trying to find this asian horror i saw in brisbane in 2003? I was in Brisbane in 2003 and I was up late watching horror movies and there was an asian horror movie playing on one of the local channels. I really want to know what it was because I never got to see how it ended. This is what I can remember from the part I did see, so if anyone remembers it and can help me out, I’d be super grateful? It was in 2003 so pre-that year is most likely, it felt fairly recent so within 3-5 years possibly? I think it might have been japanese but I could be wrong? She was killing people for some reason? Which is probably why the police-dude was looking for her? There was a bunch of people in a lab or building and she was killing them one-by-one and I think they cornered her in a room and she was trying to get back to the water but I think she died? I just remember it was about water, and there was a lit pool at night, and not much else? Sorry, I know that’s not much to go on, and I could be completely wrong about everything I just wrote, so pleeeease, suggest anything even vaguely similar? Or even stuff that isn’t similar, I’ll still check it out and something might spark a memory? I thought this was a disney episode/movie but I’m probably wrong? I remember watching this movie? when I was a teenager, so it was most likely from the late 70s or early 80s? I was so sure that Leonard Nimoy was in it but I can’t find it on his imdb page, so I guess I was wrong about that. But I definitely watched it on a sunday afternoon, which is why I thought it must be wonderful world of disney. There was a young boy I think, and he might have had something to do with the white mouse/mice?